When it comes to Social media plugins for WordPress, you have plenty of option – both free and paid. So, what is so great about the Monarch plugin? 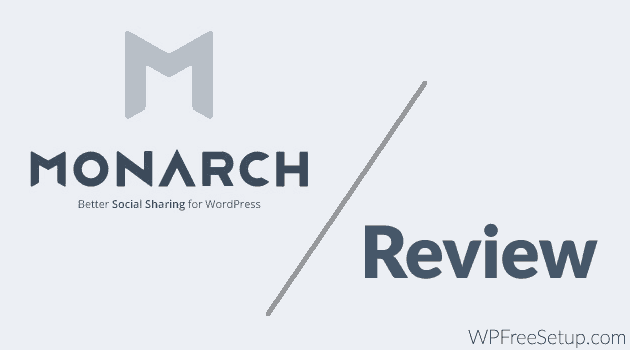 Here I’m sharing my review of Monarch WordPress plugin, will be sharing what’s good & bad about this plugin. Most important: Does it deserve your money or should you look for an alternative? Monarch plugin has been developed by Elegant Themes. The brand itself signifies quality, credibility, trust and style. Founded by Nick Roach, the brand offering – themes and plugins – personifies “elegance”. Let’s see these features in detail. Usually, social media plugins (paid or unpaid) offer limited social follow options. The main ones are usually Twitter, Facebook, Google+ and LinkedIn. However, the Monarch plugin gives you the option to add many social follow options. Not all blogs get good social shares. Therefore, with the Monarch plugin, you can specify a certain number after which the social shares will become visible. For instance, you can keep the minimum count display as 20; therefore, after the blog post gets 20 shares for each of the listed social media buttons, the data will be visible. Usually, ‘above the post’, ‘below the post’ and left or right sidebar are the common areas to place social media sharing options. These five are highly targeted visibility areas – thus increasing the probability to get noticed and shared. You might think that all these location placements will spoil usability. You are wrong! The social media tabs are unobtrusive, using minimalistic design and high on ‘elegance’. You don’t have to add social media elements on each uploaded image or video. It will be automatically embedded. All you need to do is hover the mouse cursor and the sharing elements become visible. This is definitely a killer and my favorite! Trigger is a signal telling the plugin how to react once the signal is triggered. The Monarch plugin comes with 6 predetermined triggers. Timed Delay – specifying how many seconds or minutes the user has to be on the page before the social sharing options become visible, like fly-ins and pop-ups. Post Bottom – implying that the user has to reach the bottom of the post for the sharing buttons to become visible. After Commenting – a pop-up or fly-in visible after the engaged user leaves a comment on the blog post. Upon % Scroll – means that once the user has scrolled a certain percentage of the page, the pop-up or fly-in become visible. 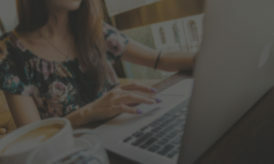 After Purchasing – a useful option if you’ve a storefront, where the pop-up or fly-in option is displayed once the user purchases something, inducing the buyer to share the purchase. After Inactivity – a pop-up or fly-in is used to catch the reader’s attention after a certain delay in page activity. If you wish to use these features, it is recommended to dig into Google Analytics to zero in on an estimated timeframe to use with these options. Monarch plugin comes in a widgetized form too. You can add the widget to the sidebar to enable users to locate and follow the site more easily. Just go to the widget section and drag-and-drop the widget to a designated area. You can choose what social networks to display and their followership counts. Yes, you can add the data manually; but don’t fake it – because if you do, the website is going to get negative reputation. Once the plugin is activated, it will start recording and storing the social shares. Responsive & Fast – Can’t think of a plugin without it! Google’s recent update mandates that blogs and websites that are mobile friendly will rank high on Search Engine Results Page. 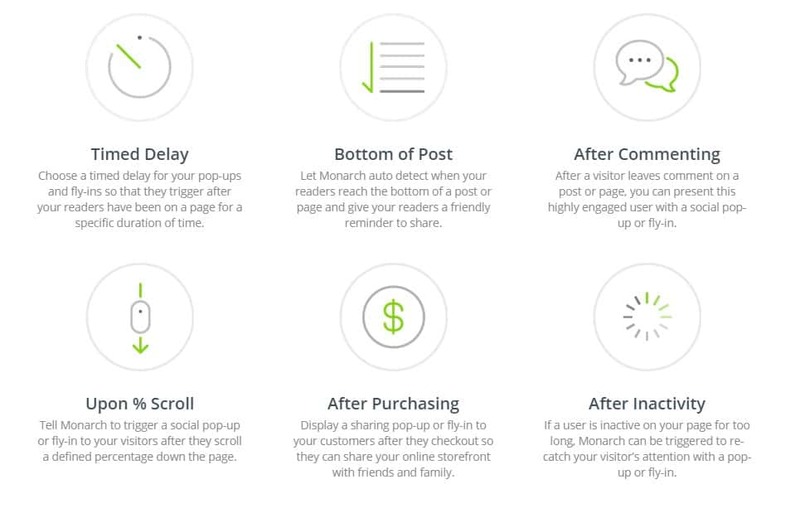 We know that WordPress plugins can sometimes slow down a website, but you need not have this fear with Monarch plugin. The plugin is blazing fast and responsive on all devices. The plugin will cache the follow and share counts to optimize website loading. In the plugin settings, there is an option to control the frequency of Monarch share and follow counts. Elegant Themes has an interesting pricing model. You can get all of their themes and plugins, and lifetime support for $89 per year or for $249 (lifetime access). You can check out the Monarch plugin demo here. The documentation page is here. 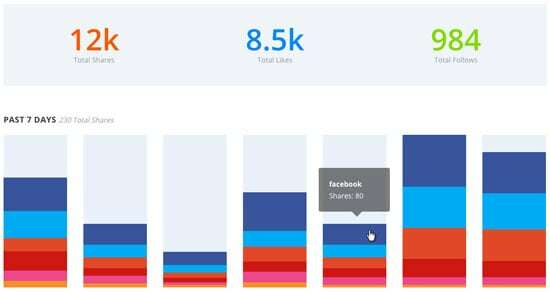 Over the last couple of years, I have used both free and paid social sharing plugins, like Digg-Digg and Flare. They were good to begin with, but with time, they certainly couldn’t live up to the customer expectations. Monarch plugin does seem to have the potential to run a long way. It’s intuitive design will be loved by the users. 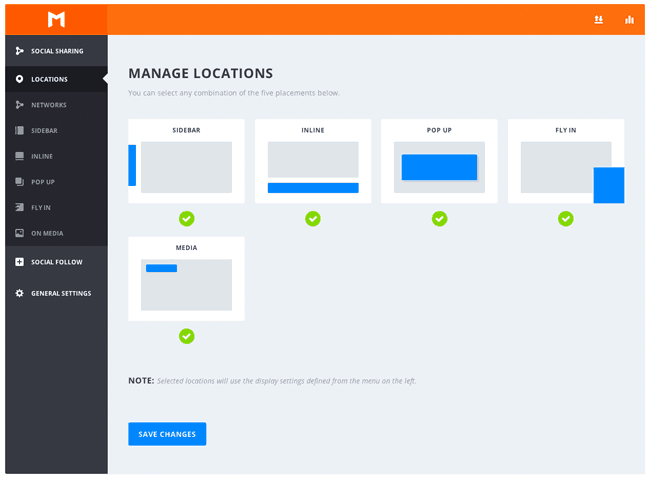 You can use it on your own or on clients’ websites, depending on the license. It has every feature that a social media sharing plugin should have and more! The timed-triggered responses are the ultimate! To wrap it succinctly, the Monarch social sharing plugin is the BEST I have come across till now. What are your thoughts? 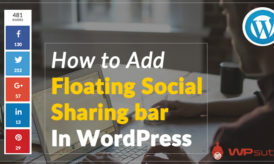 Have you tried Monarch social sharing WordPress plugin already? If yes, do share your comments with us. Hey! My name is Sandipan Mukherjee. I love WordPress. Visit my blog WPHour and follow me on Twitter (@wphour).